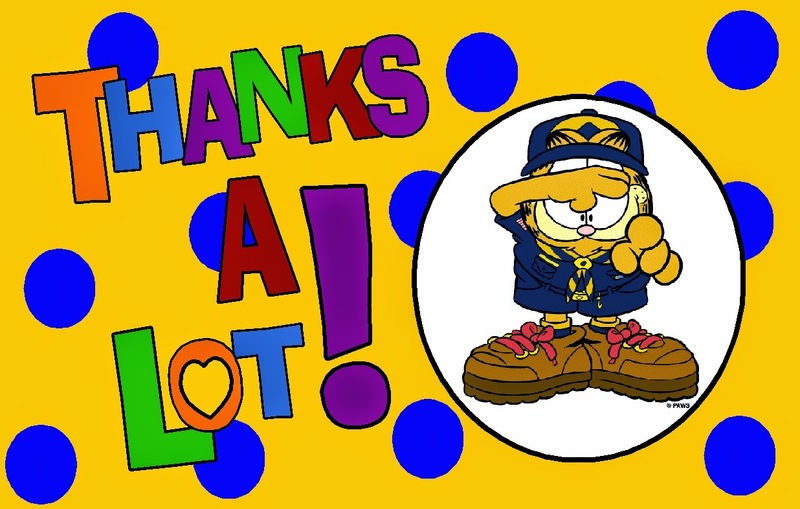 Here is a cute and easy thank you card with an image of Garfield to print and use to say thank you. It is 2 pages and should be printed on the front and back of an 8 1/2 x 11 piece of cardstock. The outside says "Thanks a Lot!" and the inside says "You're the Best".